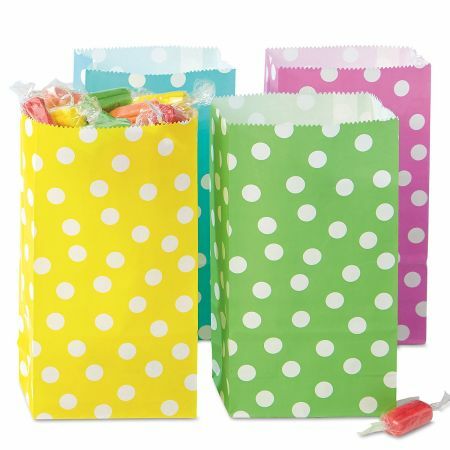 Polka dots on festive paper treat bags in 4 designs are great for any occasion. Set includes 6 of each; 7" tall. No handles. Contents not included.